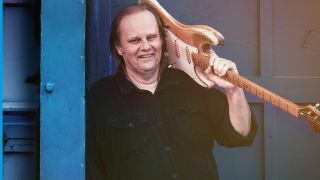 Walter Trout has announced that he’ll release a covers album in early 2019. The vocalist and guitarist will launch Survivor Blues on January 25 via Provogue/Mascot Label Group, with Trout explaining why this won’t be a run-of-the-mill covers record. To mark the announcement, Trout has released his take on the Jimmy Dawkins track Me, My Guitar And The Blues, which can be listened to below. Trout has a number of tour dates coming up, including a show in Newcastle tonight.